The “smart home” has been a fancy buzzword for the last few years but it has reached far beyond that status today. As technology shifts from a device-controlled to a voice-controlled perspective, users are able to manage their entire environment in a seamless, simple, and convenient way. For example, with an easy speech command, you can turn on a lamp in another room or unlock the front door when your friends show up. 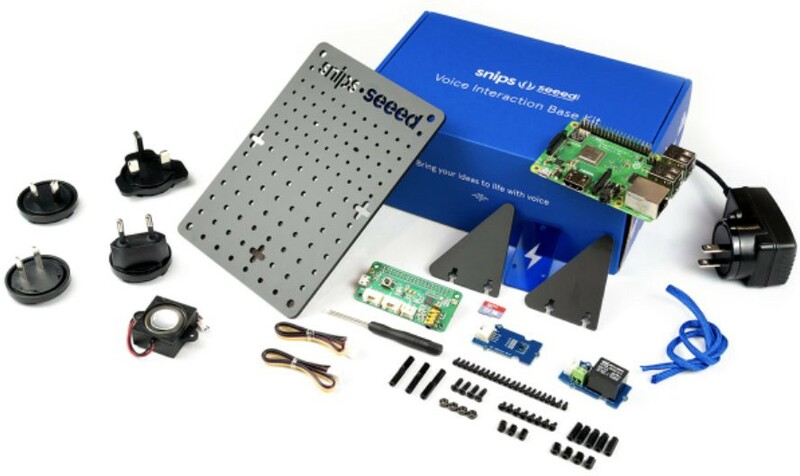 In order to make voice control even handier for developers and innovators, Seeed has partnered with Snips, the AI-powered voice platform for connected devices, to launch two new voice interaction development kits: the Voice Interaction Base Kit and the Voice Interaction Satellite Kit. Based on the Snips AI Voice Platform, the kits are powered by a Raspberry Pi (3B+ for the Base Kit and Zero Wireless for the Satellite Kit). With this advanced AI voice processing technology running on a Raspberry Pi, all input commands are processed directly on-device instead of being sent to the cloud, meaning privacy in IoT scenarios is no longer a concern with these two kits. The kits also include a ReSpeaker 2-Mic Pi HAT, Grove Relay which allows users to control the device’s on/off status via voice, and a Grove Temperature and Humidity sensor. Given the built-in compatibility with the full Grove sensor system, each kit enables developers to collect various types of environmental data to define different application scenarios. Can’t wait to try out these new kits? The kits are now officially available. But remember, the Satellite Kit requires Base Kit to function; in other words, it’s an add-on to the Base Kit that extends voice control beyond the immediate vicinity of the Base Kit. Last but not least, Seeed will soon launch a contest based on the two kits with Snips on Hackster.io later this month. Stay tuned for more updates! 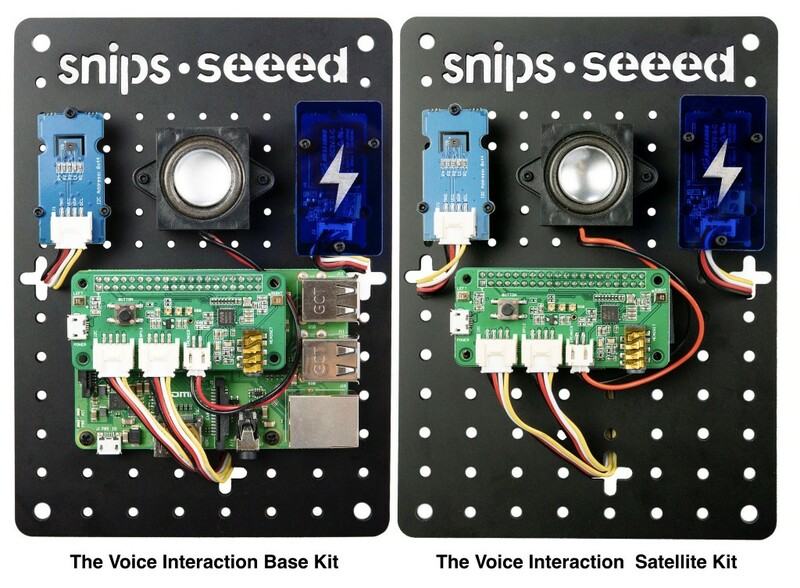 Seeed and Snips Team Up to Launch Privacy-Secured Voice Interaction Dev Kits for IoT Applications was originally published in Hackster Blog on Medium, where people are continuing the conversation by highlighting and responding to this story.